Neasa is a BAFTA-winning Director and Writer for ﬁlm and television drama. Born in Dublin, she began her career with a Double First from the National College of Art and Design Ireland, winning a scholarship for her Master’s at the Universität der Künste Berlin, before completing her PhD at Trinity College Dublin. 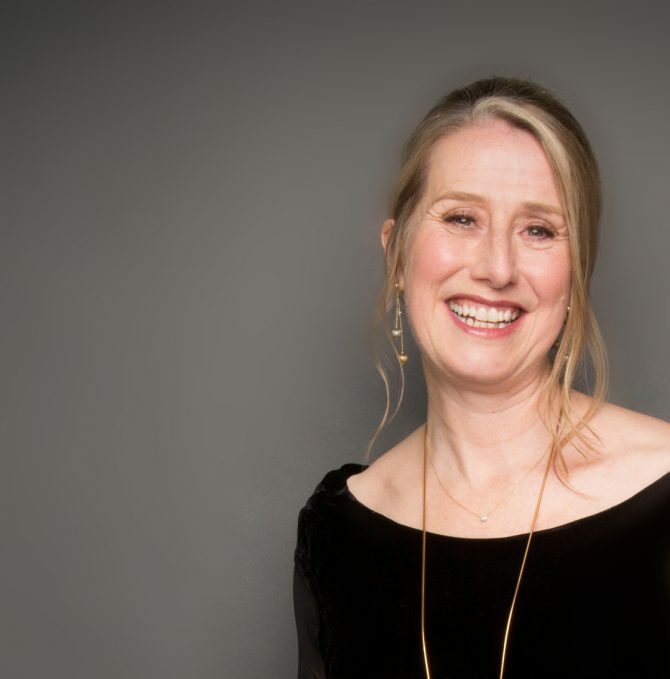 Neasa returned to Ireland to make award-winning documentaries with RTÉ, while completing a second Master’s degree in Politics and Aesthetics as well as designing the national broadcaster’s rebranding. Neasa moved into drama as the youngest ever director of RTÉ serial drama Fair City. This led to writing and directing for the theatre in her native Dublin. The quality of her work led to commissions with Channel Four and the BBC, where Neasa carved her reputation in making world-class drama. Neasa has just completed principal photography on her thriller feature ﬁlm, Sea Fever. Prior to that, she was awarded a BAFTA for the gritty murder drama Happy Valley (BBC / Netﬂix), before directing the ﬁnale of Jessica Jones with Marvel and Netﬂix. Neasa teamed with Killer Films and Amazon to direct the 1920s story of Zelda Sayre and her troubling life with F. Scott Fitzgerald, Z: The Beginning of Everything, starring Christina Ricci. Her earlier works include the two-hour story ﬁnale for BAFTA-nominated homicide thriller Scott & Bailey and acclaimed BBC six-part drama In The Club. As a screenwriter, Neasa’s work circles around themes of outsiders and connection, identity and alterity. Her feature screenplays have won awards at Cannes, the London Film Awards and from Creative Europe and the Irish Film Board. Her award-winning art ﬁlm This Is Going To Take More Than One Night is in the permanent collection of the Irish Museum of Modern Art. While she was still at college, Neasa founded Language Communications with Adam May. In 2015, she founded major new national initiative Big Stories on the Small Screen. Neasa’s bilingual in German, she speaks French and Irish as well as her native English.